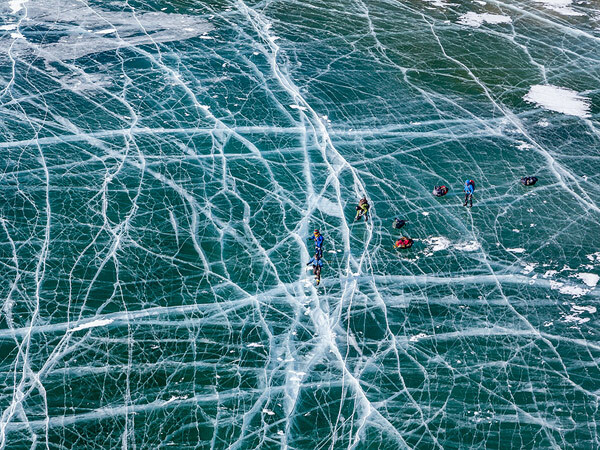 National Geographic recently announced their Daily Travel Photos: Best of 2015, and the selection includes work by 50 photographers from around the world. 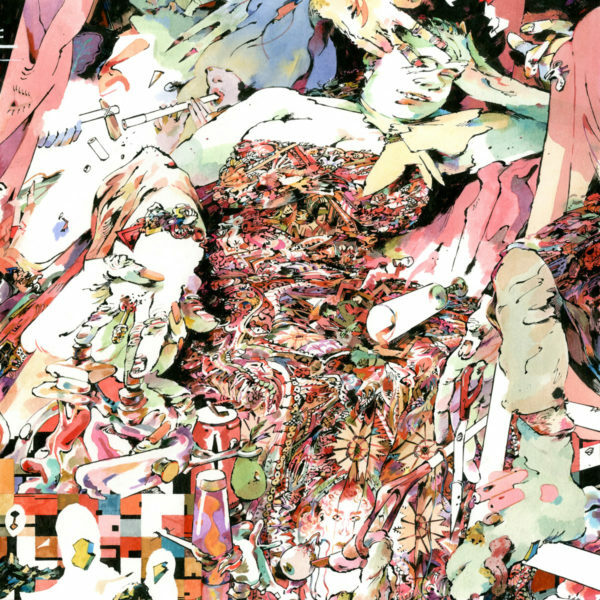 There are always certain kinds of images you expect on these lists but they did a great job curating some really interesting work. 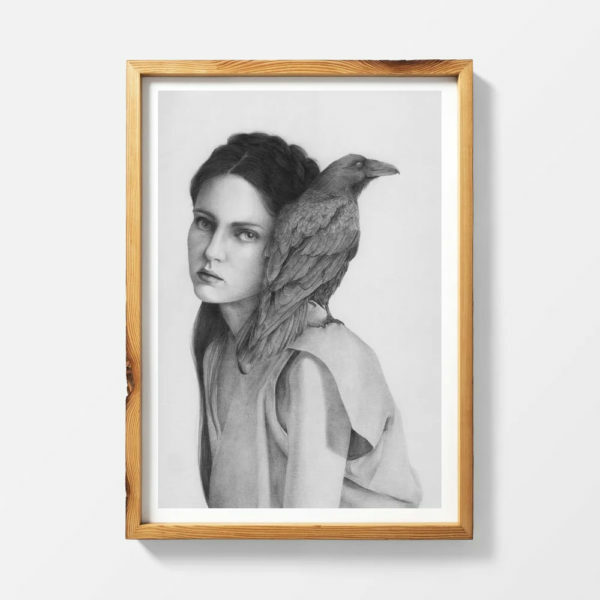 Here are 15 of my favourite images from their list! 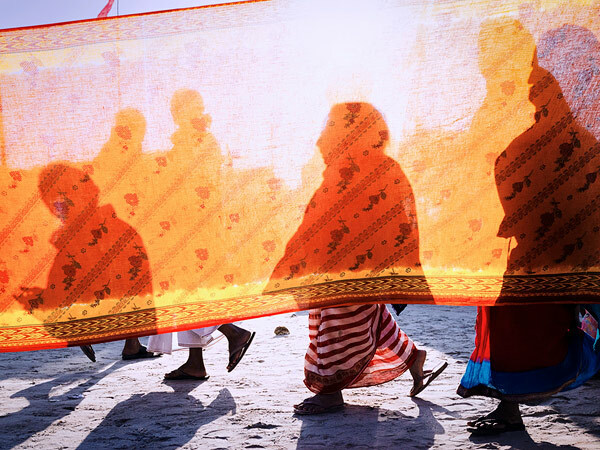 Women walk behind a sari during the Maha Kumbh Mela festival in Allahabad, India. 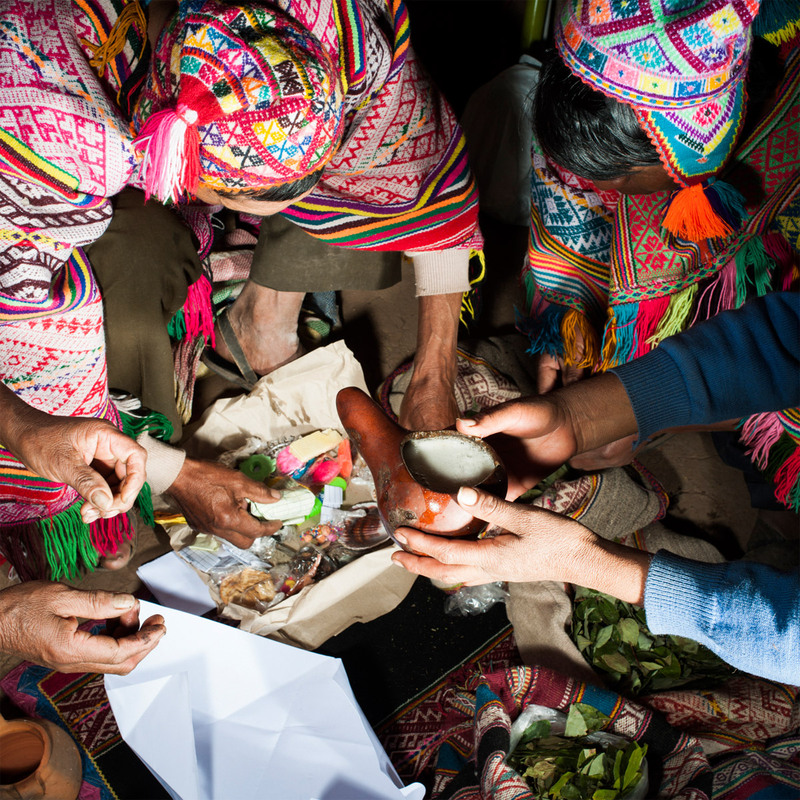 Known as the largest religious gathering in the world, the festival draws millions of Hindu pilgrims. 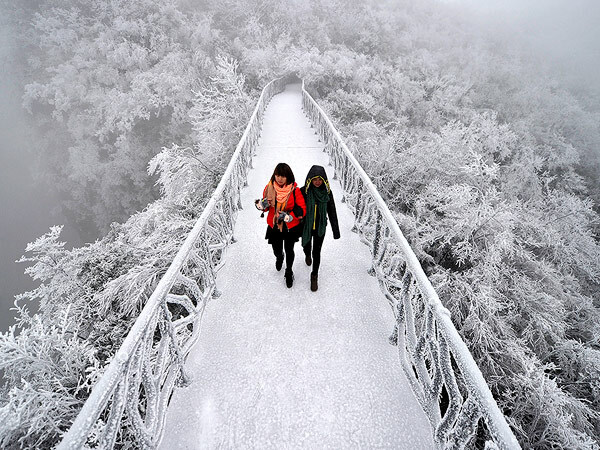 Frost rimes a walkway—and the greenery surrounding it—on Tianmen Mountain in Zhangjiajie, Hunan Province, China. The bridge connects with an all-glass walkway that hugs the mountain some 4,700 feet above sea level. 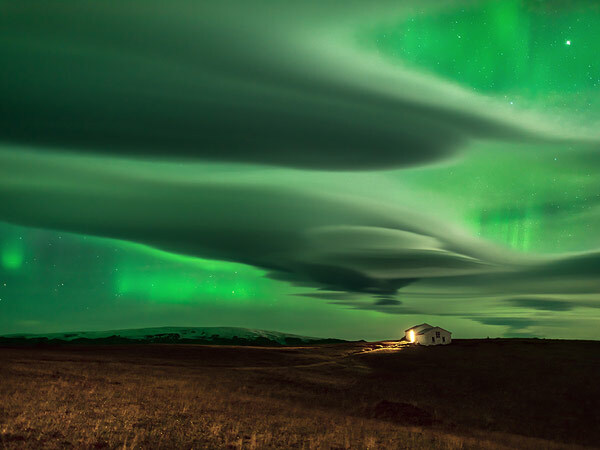 The aurora borealis sets the Iceland sky alight with an otherworldly glow. This phenomenon is triggered when the sun sends charged particles coursing to Earth. The best time to see the light show in Iceland is on a clear night in winter—visibility improves the colder it gets. 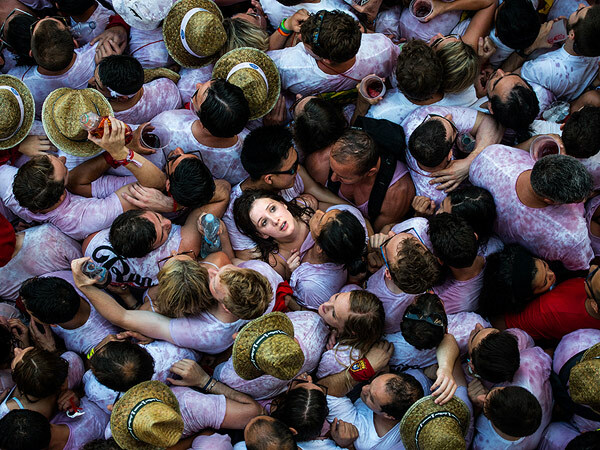 Space is tight for onlookers during opening day of the San Fermin Festival’s Running of the Bulls in Pamplona, Spain. 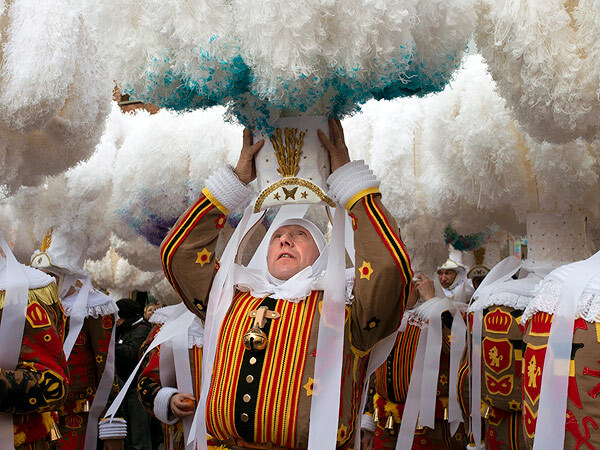 Held since 1591, the event attracts tens of thousands of visitors each year for nine days of revelry, morning bull runs, and afternoon bullfights. The festival gained worldwide fame after appearing in Ernest Hemingway’s 1926 novel The Sun Also Rises. 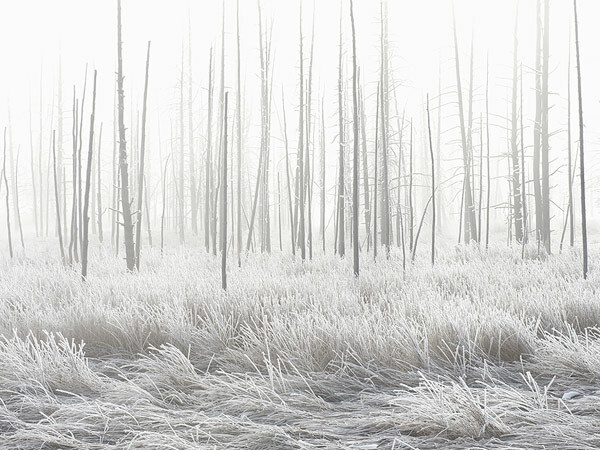 Frost paints Yellowstone’s Lower Geyser Basin white early one January morning. The world’s first national park doesn’t shut down during the long winter—cross-country skiing and snowmobiling are popular snowy activities. 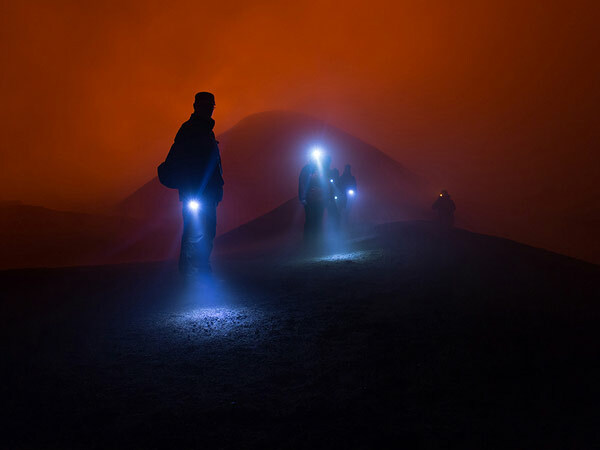 Flashlights and headlamps cut through the darkness on the active volcano crater Tolbachik in Kamchatka, Russia. 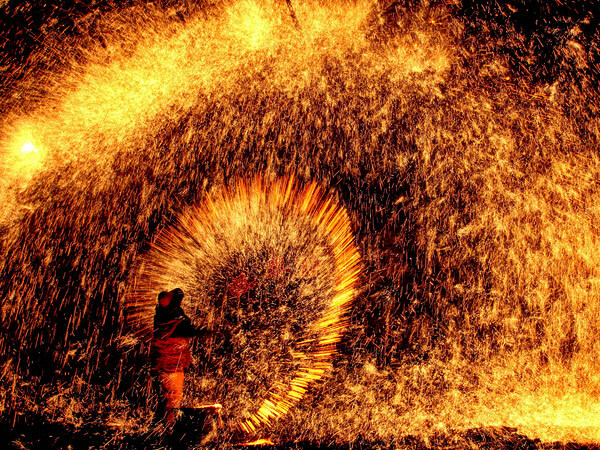 An artist spins molten iron at a brick wall in the practice of Da Shuhua, or “tree flower.” The local tradition takes place during the Lantern Festival in China’s Hebei Province. Reindeer in Gällivare, Sweden, migrate to the mountainous area along the Norwegian border “for the spring calving season,” writes photographer Kris Davidson. 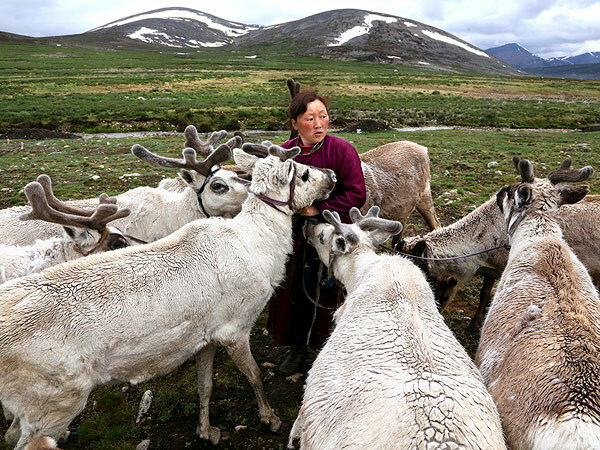 The reindeer are an integral part of the life of the Sami people, who follow the reindeer’s migration routes and have been herding them for centuries. 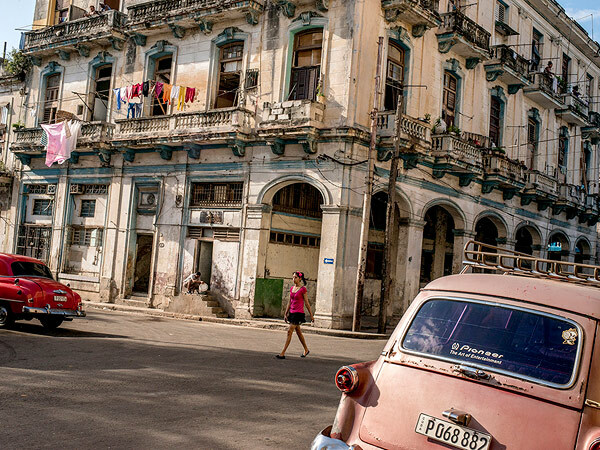 Máquinas—”machines,” what Cubans call the old cars that are ubiquitous in Havana—brighten the street in front of a once grand building, now declining charmingly in the tropical air. 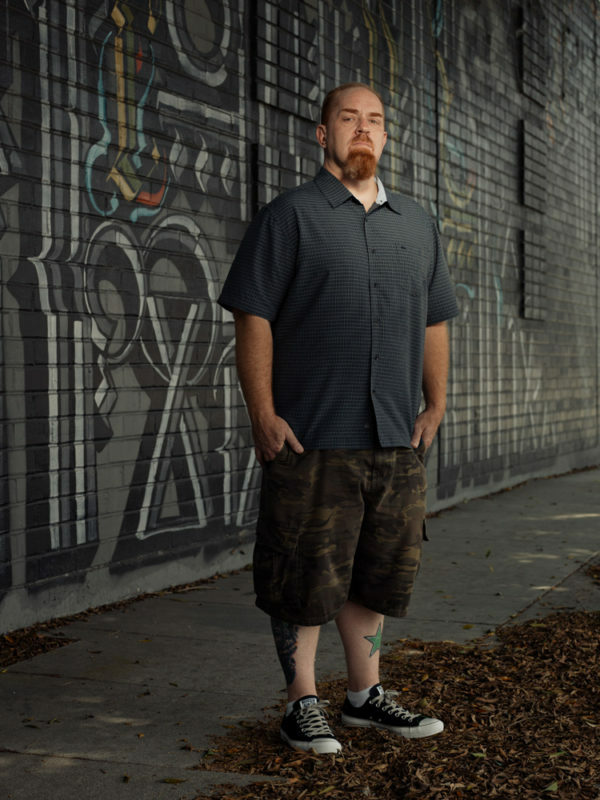 Hampered by the U.S. embargo and the collapse of the U.S.S.R. in 1991, Cuba’s economy has floundered. 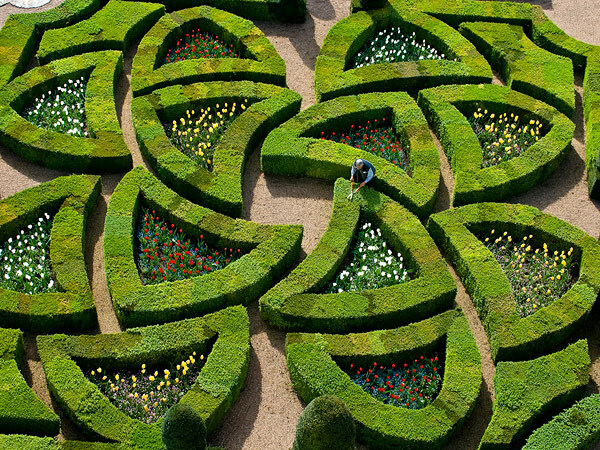 A gardener prunes hedges in the ornamental garden of Château de Villandry in Villandry, France. The castle, completed in 1536, is known for the six remarkable gardens that surround it. 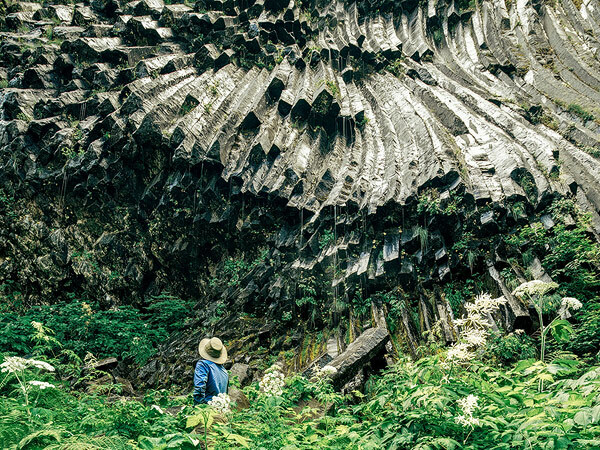 The huge columnar lava structure known as the Devil’s Pipe Organ dwarfs a hiker in Mount Rainier National Park. 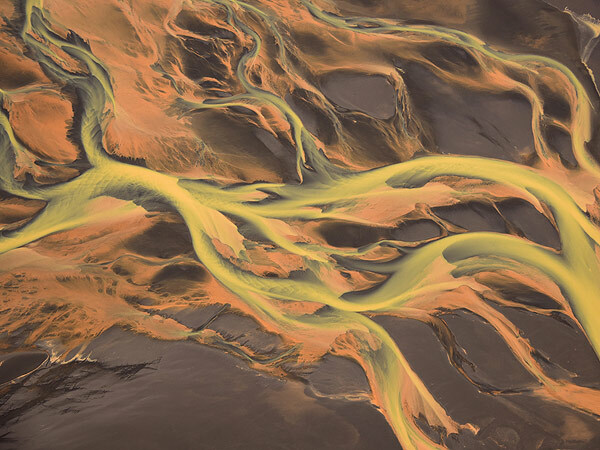 An active volcano, Mount Rainier has erupted thousands of times during its relatively young life of 500,000 to one million years. Fishermen wait for glass eels to be drawn to the bright lights they’re shining on Japan’s Yoshino River. 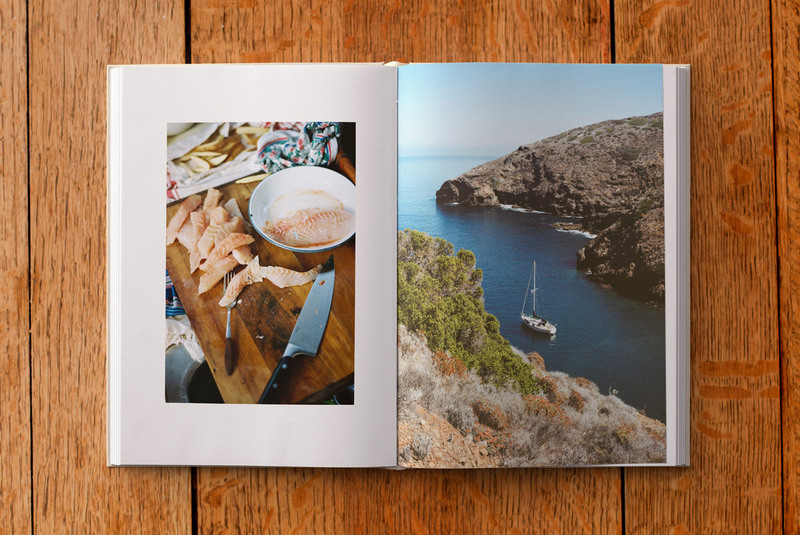 When the eels are close, the fishermen scoop them up. 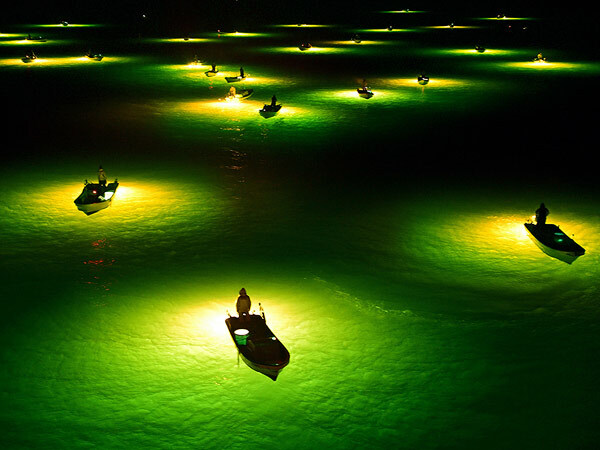 This type of traditional fishing is best done on the darkest nights.